But this simple concept, which really is a solemn promise, can sometimes get complicated. Your employer or their insurance company may question whether you really got hurt. They may try to blame your condition on other things like pre-existing conditions. They may try to deny you the medical care you need or delay or fail to pay the benefits to which you are entitled. 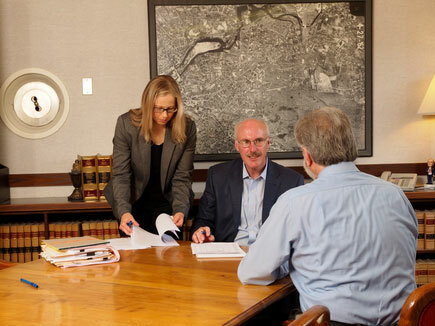 If you have questions about your rights under the Workers’ Compensation Law or your workplace injury, you should speak with an attorney who has earned the title of Board Certified Workers’ Compensation Specialist from the Connecticut Bar Association. There are over 20,000 lawyers in Connecticut but fewer than 100 of them have earned the title of Board Certified Workers’ Compensation Specialist. Michael Colonese is one of them. He has been helping injured workers for over 25 years and regularly appears before the Workers’ Compensation Commission including in Norwich, Middletown, New Britain, Hartford and New Haven. You can bet the workers’ compensation insurance company has lawyers protecting their interests. If they are disputing aspects of your claim, you should have one protecting your interests too. There is never a fee unless we recover benefits for you.